Insurance exists to protect people in the event of catastrophic events. Unfortunately, many people who diligently pay their insurance premiums suddenly find out after an accident that their insurer does not want to pay out a claim. Insurer companies aggressively protect their bottom lines by denying many valid claims or delaying payment for an unreasonable length of time. A recent lawsuit filed in court highlights that insurance disputes continue to occur. If you are involved with an insurance dispute, you need an experienced Daytona Beach attorney to represent you. The lawsuit filed May 9 in Orange Circuit Court revolves around claims made after a hurricane in September 2017. 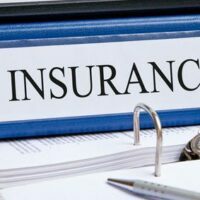 Candido Sabio alleged that Security First Insurance Company breached its duty of good faith and fair dealing when it refused to pay for the full amount of his loss, in spite of making a timely notice. Mr. Sabio also alleges that he had to obtain an attorney to protect his interests in the matter, which is an additional expense. He has requested a jury trial and has asked for compensation for all his losses, including interest on the overdue insurance claim payments. He is also suing for costs and attorney’s fees. This is just one of many lawsuits filed against insurers for refusing to pay out a claim after the Florida hurricane season. We see these cases every year and expect to see more of them. Florida statute 624.155(1) grants a person the power to bring a lawsuit against an insurer for acting in bad faith when settling a claim. Florida’s common law also allows third parties to bring insurance bad faith claims. Basically, an insurance company should not act solely out of its own interest. It must recognize that it owes a duty of fair dealing to the insured. A court will look at all relevant circumstances when deciding whether an insurer has committed bad faith. Because this is a vague area of law, you should meet with an experienced attorney to discuss whether the insurer’s conduct has slipped over into the realm of bad faith. Before filing a lawsuit, a person should file a notice of any violation. This gives the insurer a chance to cure any of their violations within 60 days. Your notice should include particular information, which an attorney will know. If you are fighting with an insurer, you need an experienced lawyer in your corner. Contact Bundza & Rodriguez today. We have sued many of Florida’s largest insurers and we know how to win these cases. For more information about your options, please schedule a free initial consultation with one of our lawyers. Call 386-252-5170 or submit an online message.